All of the below information comes directly from job reviews written by Blake Morgan employees based on 57 reviews. Being able to apply the skills I am good at daily- analysing documents and preparing reports for clients. You get to try a variety of practice areas and are given a large amount of responsibility and exposure from an early stage, however there is a great support network and always someone that you can ask for help. Great opportunities for learning and advancing knowledge. A chance to explore my mind and get a feel for what you enjoy and for what motivates me. I get a lot of responsibility, every day is different and I get to work closely with partners and senior lawyers. Being a trainee solicitor is good in that you get to move departments and get experience of different types of law. It is also an enjoyable and social experience to go through with the rest of the trainee cohort. The variety of the work that I am given as a trainee. Most of the people are really nice and there is a great support system in place. The work life balance is generally very good too. The firm invests a lot of time and effort in their Trainees and they are given more than menial tasks- there is a clear desire to 'train' rather than just tick a box and complete the minimum requirements for skills and duration. I get involved with a variety of clients, matters and events, which makes the working week interesting. The firm is generally very friendly and welcoming, and quite sociable. You can set challenges and goals for yourself and there is always something to do. Gain experience and knowledge in the different sectors. There is a range of tasks you can undertake and due to the volume of our workload we are able to learn quickly as we will do the same jobs repeatedly but all at different stages of files. It is enjoyable and every day is different. As I came straight from school, an apprenticeship is a great gateway into the working world. 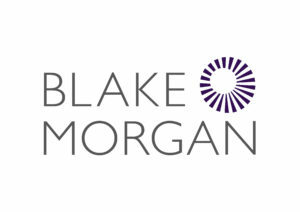 Especially at a company such as Blake Morgan, who are renowned for their career progression. Individualise your application and make it relevant to the firm - do your research. Be open and participate, but don't dominate conversations/group tasks. Research the company and show what you can bring to the role. Be confident and don't be put off by tricky questions. Show that you are interested in the firm and have done your research. Do not look solely at the traditional route into a trainee solicitor role, especially if you were not educated at a prestigious university or are entering the industry late. Look at taking junior roles within a firm that you can make a difference in, look for people who will see your qualities and then impress. Take other people's advice - especially those who have been successful in the past, and those who have attended a number of interviews. Prepare, then prepare again. Often firms are looking for candidates that are able to express ideas rather than someone who already has the knowledge - worry less about what you have studied but focus on your presentational/written skills. 1. Use STAR when answering competency questions. 2. Research the firm well and make sure your answers are well-supported with relevant examples from your university/work experience. 3. Check your application for typos before you submit it. 1. What challenges is the legal industry facing at the moment? 2. What is a 'repudiatory breach of contract'? 3. Why did you choose to apply to Blake Morgan? 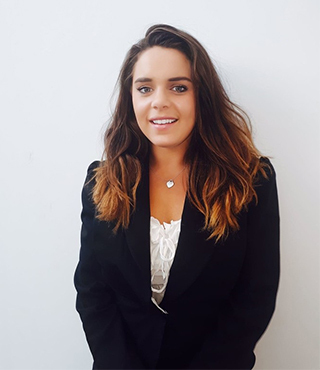 I would place as much emphasis on the skills that you have gained from previous work experience and extra-curricular activities to show that you are not just interested in pursuing a legal career but also have the required skills for a role in law, such as attention to detail, solving problems etc. I would make sure that you research the firm and current issues that may be affecting the firm. There is a lot of news on the firms website and so it shouldn't take too long to get a picture as to what is going on at Blake Morgan and then being able to discuss this in an interview will help demonstrate that you are actually interested in the firm. Tailor your application to the firm rather than sending a generic application that has been sent to numerous firms. - Be specific - why does this firm above all others appeal to you? What are you after - tailor this to what the firm offers you. - Have various examples at the ready. Check and double check for typos and bad grammar. Do not lie. Do not forget to talk about all the unusual things you've done, places you've visited and life experiences you've had - it makes you a more rounded person and that is what this form looks for. Be yourself because you need to know whether you will fit in with the firm. Be completely honest if they ask you what area of law you liked least at university (I said I didn't like land law to a real estate partner and he said he appreciated my honesty). All experiences, jobs and roles can be relevant to the application, so don't shy away from writing about something simply because it does not relate to Law or Legal Practice. The firm wants to get to know you and the application is their first chance to do so. I was asked a lot about my work experience (I was currently on a sandwich year when interviewed so I was in full time work) and what it was about Blake Morgan that drew me to apply. Some more specific competency questions were asked (e.g Do you prefer contentious or non contentious work and why? / you've put an interest in X on your application, can you give me a suggestion of how this might come up in your Training or at the firm). A good understanding of the BM work environment (e.g open plan desks, no private offices, approachable senior members of staff) would show that you understand the firm and this has guided your application. Graduates are often told to focus on "Commercial Awareness," which is often misinterpreted as reciting some newspaper article or current affairs issue during the interview process. However, commercial awareness is much more than simply regurgitating a news bite on Brexit or Donald Trump! It is about demonstrating that you appreciate the firm ultimately exists to make money and that you understand the business model behind this (i.e. that most law firms operate a "thirds" profit model - one third for salaries, one third for other overheads and one third profit). It is also essential that you understand the client base that you will be working with, and how their own industry operates. For example, if you are going to be working with Insolvency Practitioners, you need to understand that much of their business works on a reciprocal basis and that part of your responsibility as a fee earner will be to spot and drive referral opportunities to these clients. You will inevitably be asked why you wanted to go into law. I have often thought that candidates feel compelled to provide a slightly artificial answer to this. Further, I'm not altogether sure that your answer to this question really reveals much about you as a person. Quite often, the big decisions in our life (i.e. whether you want to be a lawyer) are shaped by things outside of our control (where we grew up, whether we had a particularly inspiring law teacher). I think what candidates (and recruiters) should focus on is what sort of lawyer you want to be. I feel that it is these smaller choices that actually reveal a lot more about the type of candidate you are to the employer. p.s. you will probably receive an oddball question like "what is a tort" - be prepared! Know the company in and out! Try and find out who is interviewing you and get to know their areas of expertise. Get a lot of work experience and show you are passionate about law. General skills - team work etc. Reasons for wanting to do law. Why that company. Be yourself so that you know whether you will fit in with the people there. Be open to different areas of law because you may be surprised at what you enjoy. Don't narrow down your parameters as the firm wants someone who is open to a challenge. Remember you are being watched from the minute you drive into the car park. They even ask the receptionists how you spoke to them! Be humble and polite but chatty and sociable. Try to be genuine in your application/interview etc. They are looking for originality and people who like people as well as being academically able. Take time to learn about the firm before you apply, and tailor your application accordingly. Try to avoid stock phrases about being passionate about law that they will have seen time and time again. Do your research. Access as many resources on training contracts as possible so that you can make an informed decision as to the type of firm you would like to work for, the types of work you would like to do and the region/area you would like to work within. This will help you narrow your search and ensure that your applications are targeted to those firms that attract you most. Generic mass applications to lots of firms do not typically work so choose a selection of firms you most want to apply to. 1. Research the firm before attending your interview. If you know lots about the firm, the sectors they work in, their competition and the types of work they do, you will be able to ask informed questions and use particular examples as to why that particular firm attracted you. 2. Prepare examples to questions based on the competencies the firm will be looking for such as teamwork, leadership skills, organisation skills, communication skills, working under pressure etc. That way, when questioned, you can give different examples of how you can demonstrate those skills. 3. Most of all, be yourself! Practice psychometric tests and have something original to say about why this firm is the one for you. If you are asked a legal question and don't know the answer, say that you don't know and explain how you would find out. Don't be tempted to waffle about something you know nothing about. Proof reading is essential - get someone else to read over your application before you send it in. It's always best to have a fresh set of eyes to spot any mistakes. You need to sell yourself, which doesn't come naturally to everyone. One way of reminding yourself of your strengths is to read over appraisal documents or good feedback you've received on a piece of work. You can use these as examples within your applications too. Make sure that you're yourself and let your personality be seen. Ultimately, being a solicitor is people working with people and it's important to show that you're someone people will enjoy working with, both from a colleague and client perspective. Have practical examples of when you have applied the values you discuss in your application. Again, having more examples to discuss (other than the ones mentioned in your application). Proof read your application - many don't make sense or include spelling and/or grammatical errors. Research the firm and ensure that you are enthusiastic about the role. You would be surprised how many people apply, but don't know what we do. Do your homework - learn about the firm before applying. Read up on recent transactions/cases, and have some questions ready. Stand out as an individual. Build up your workplace experience beyond just law. The most demanding part of the interview was a role play telephone conversation with an unhappy client. They're not looking to identify your legal skills but rather understand your ability to defuse a hostile situation and build client relationships. Adaptability is a very important skill for a Trainee Solicitor. You have to get used to working with a range of people who may like work done in different ways. Relax, give concise answers, be honest. Use all possible examples to demonstrate how you have developed your skills i.e. voluntary work, membership of clubs and societies, part time jobs, playing on a sports team etc. Try to make yourself stand out from the crowd. So many people in the market now have excellent academics and so it is the interesting or unusual facts/skills that will make you stand out and get you that interview, allowing you to shine. The most important aspect of this job is to know your clients; know their business, their key drivers and the market they operate in. Get to know what makes them tick...and then get to know them some more. It is impossible to advise in a vacuum and client's expect you to give a legally sound but also a commercially driven recommendation. Don't demonstrate "commercial awareness" by reciting recent newspaper articles. Illustrate your knowledge of the firm's clients and demonstrate an understanding of both their business model, and more importantly the firm's business model (and how these fit together). Friendly atmosphere, lots of CR potential and good work/life balance. Trying to get people to come along to social events- tends to be same groups. Good support, great working environment, friendly. Supportive environment, approachable colleagues, interesting deals to work on. The lack of financial reward. They do not react to the reasons people are leaving the firm and make the necessary changes to keep people. The work environment and work/life balance are important to members of staff which means that staff can be flexible with their working hours, special commitments etc. Charity work and Networking are actively encouraged from day one. Despite the firm's size there is a very noticeable hesitation to spend any money on staff or the firm in general. This is not only reflected in the modest staff parties (one per year), events and corporate sponsorship (BM does not seem to advertise) but in salaries which are low compared to our competitors in most regions. This is particularly evident in Reading and Oxford, where the cost of rent and property, plus the transport required to get to these offices is not matched by a suitable salary (whereas London staff are paid significantly more). Staff are afraid to incur expenses or ask for necessary extras for clients or meetings because of the fear that even modest expenses will be denied. There is an issue with Gender Equality at the top of the firm, but this has been brought up a number of times and the management are said to be addressing the disparity. The high level of responsibility afforded to fee earners and the direct level of client contact with a prestigious client base. It would be nice to see a greater focus on merit based promotion, rather than how many years PQE (post qualification experience) a fee earner has under his/her belt. However, this is a common issue in firms as large as Blake Morgan. Salary worse than for comparable firms. The IT systems and the lack of coordination between offices/systems. The best things about the company are the friendly staff and welcoming environment. During the course of my training, I have felt very supported and encouraged, and this has allowed me to grow and develop both as a lawyer and as an individual. There is a lack of social events and opportunities at the firm. The firm has a Christmas party and an end of financial year meal each year but outside of those events, there are no other opportunities to socialise or get to know your colleagues outside of the working day. This is particularly important given the number of offices and the different locations they are based in. The different offices never really mix with each other aside from when working on matters collaboratively.